Women United – United Way of Central Alabama, Inc.
Our mission is simple yet bold: to inspire, educate and motivate women to become positive change-agents within our community through philanthropy, leadership and volunteerism. There are unmet needs within our area and we need your help to improve our community. By joining Women United, you become part of a caring group, committed to giving $1,000 or more to United Way of Central Alabama. Members donate annually to provide individuals and families the tools they need to become financially stable, help ensure children are ready to succeed in school and offer opportunities for healthier lifestyles. If you are motivated to make a difference within our community, what better way to engage with others who share the same goal of helping those in need? United Way of Central Alabama’s Women United held their annual House Party at the home of Cathy and Tom Adams on Thursday, November 1. This year’s event was hosted by Margaret Brooke, Jenny Burton, Meg Cherry, Maggie Cornelius, Kirk Forrester, Lisha Graham, Catherine Long, Fran Nichols, Lauren Pearson, Lee Ann Petty, Gage Smith, Mackin Thompson, Rachel Weingartner, and Allison Westlake. 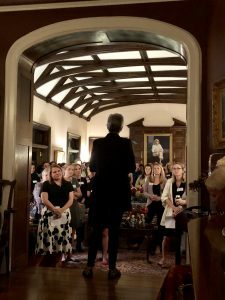 The purpose of the House Party was to recruit new Women United members, and almost 100 existing and potential members enjoyed a night of engaging discussions. 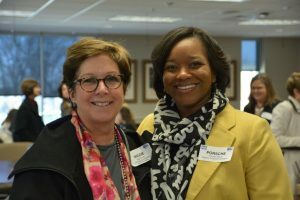 Women United hosted the first of a series of “lunch and learn” events called Women United Wednesdays, which focus on challenges faced in the community and what United Way of Central Alabama and its community partners are doing to solve them. 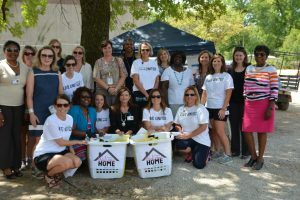 Women United members presented 13 “Welcome Home” baskets in the East Lake community to clients who have completed or will complete United Way’s IDA Program. These families received homes as part of the 2016 Habitat Homebuilders Blitz. United Way of Central Alabama, Inc. has relaunched it’s women’s affinity group to promote in bigger bolder ways the critical work women are leading in Central Alabama. 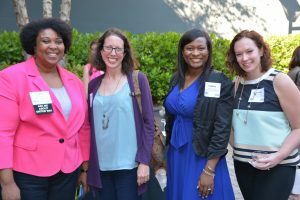 The Women United launch was held this May at Brasfield & Gorrie where more than 130 donors and volunteers celebrated.